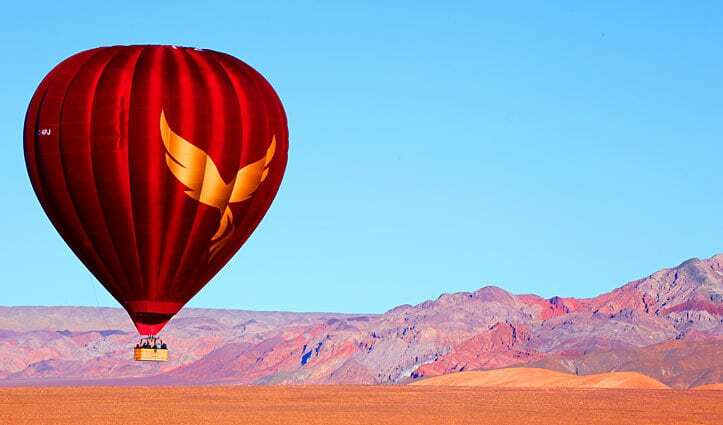 On my first morning in the Atacama Desert I was overcome with excitement and anticipation as we drove through darkness to the launch site of our hot air balloon ride. We left San Pedro de Atacama, a small oasis in the middle of the Atacama Desert, situated at 2400m above sea level, well before dawn, rugged up and ready for adventure. Whist enjoying a fresh cup of coffee I watched eagerly as the pilots transformed the flat lifeless canvas on the ground into a lively hot air balloon pulling at the ropes wanting to be set free into the pre-dawn sky. 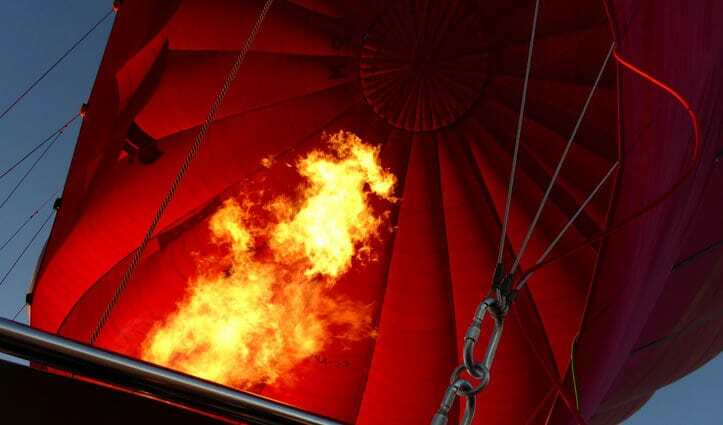 Once the pilot was ready and had completed the safety briefing, our group of 12 clambered into the basket under the roaring flames. We were high in the clear sky as the sun crept over the horizon casting sensational colours over the stark moonscape and unique desert formations below. Seeing the desert from a birds-eye view really showed the vast landscape in all its beauty. We sailed over Moon Valley admiring the pink sand, salt-rich Mountains and rugged cliffs. In the distance I caught a glimpse of Salar de Atacama, one of the world’s largest salt flats and towering volcanos beyond. After an hour of awe-inspiring scenery our flight came to an end. Our landing was a little bumpy but our pilot was incredibly professional and ensured we were safe at all times. To complete our morning we were spoiled with a champagne breakfast in the middle of the desert whilst the sun’s rays lit up the desert in hues of orange, red and blue. 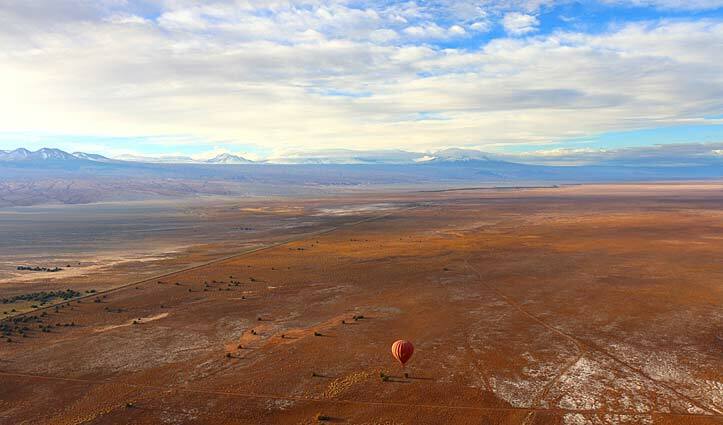 This flight was honestly the highlight of my trip to Atacama and I would recommend it to anyone who visits. 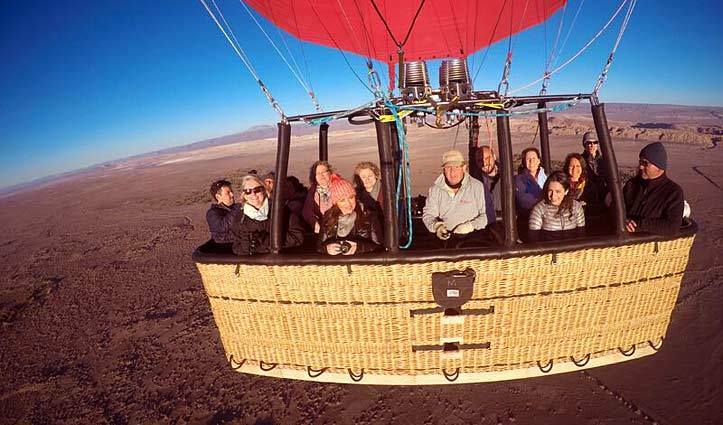 If you would like to know more about what excursions are available in the Atacama Desert see our list of 6 must-do excursions in this fascination place. 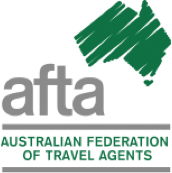 For details of this excursion and to book a tailor-made trip in Chile contact South America Travel Centre 1300 784 794 or email: contact@satc.com.au.